The May meeting was a fun one! The topic was handwriting and Jim brought along a vintage handwriting analysis book (example above), and we all tested our handwriting to see if there were any shady characters amongst us. Joel, and excellent artist and calligrapher in his own right, brought some fantastic correspondences that he has collected recently from pen pals all over the world. 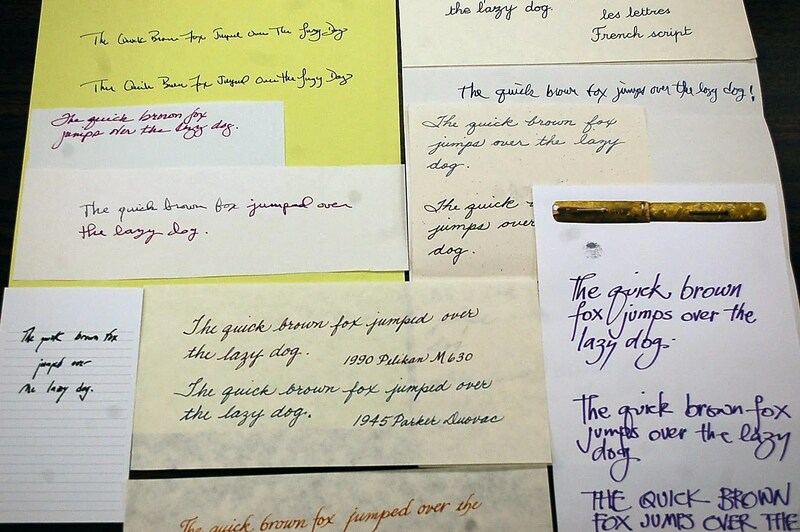 The handwriting, and use of fountain pen and ink, is amazing. Frank bought this cool Bowling Desk Set – a Wahl product I believe – that he purchased at the Chicago Show. 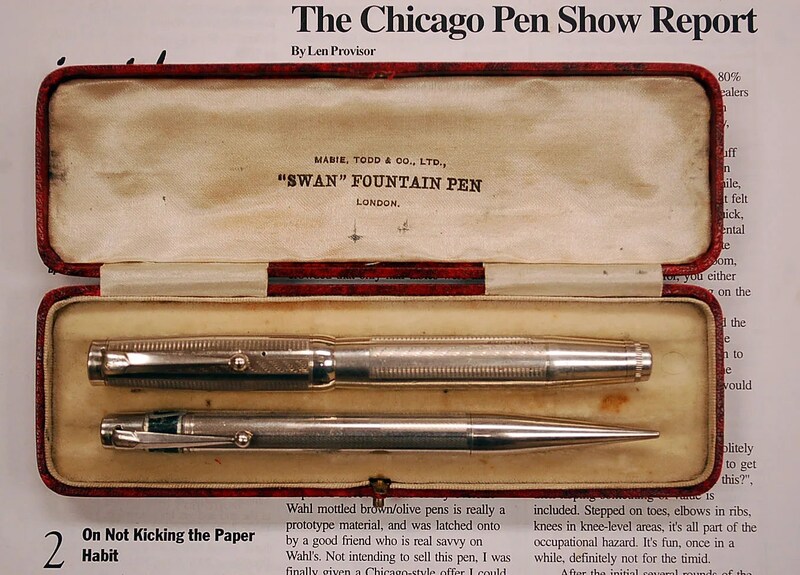 Don’t forget the June Meeting (June 21) – the topic will be Unusual and Collectible Ballpoint Pens! 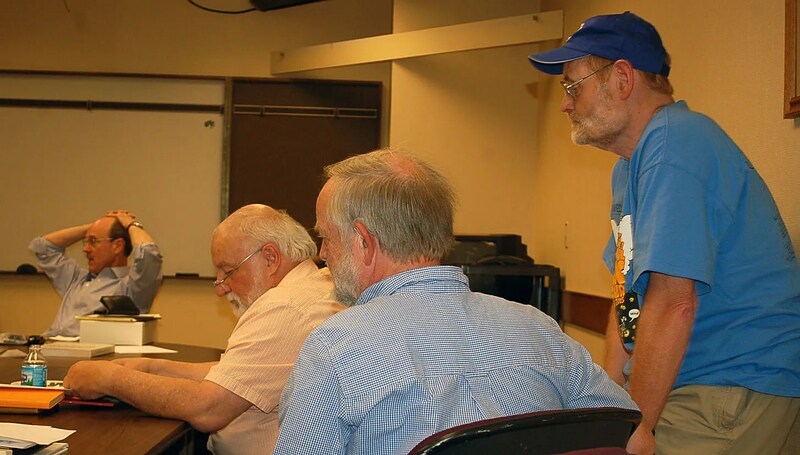 Our May Meeting was held last night (May 19th) at 7:00 pm. It was a very interesting and informative get together. Frank talked about the Chicago show that several members attended. Here is a photo of his big find at the show ~ a stunning Sterling Silver 1920s Swan set. Our theme was writing paper, journals, note pads, and cards. Each member shared their preferences and we learned that there are as many choices as members…. 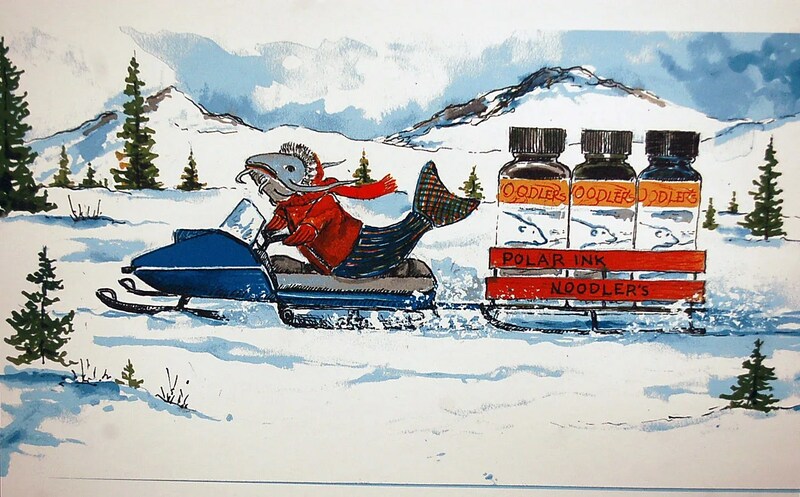 On of our own, Joel , a retired art teacher, was recently selected by Noodlers Ink and Pens (Nathan Tardif) as the winner of the Noodlers Art Contest. He was amazed to find a full array of Noodlers Pens and Ink as a prize! We were fortunate that he brought all of the pens for us to see. 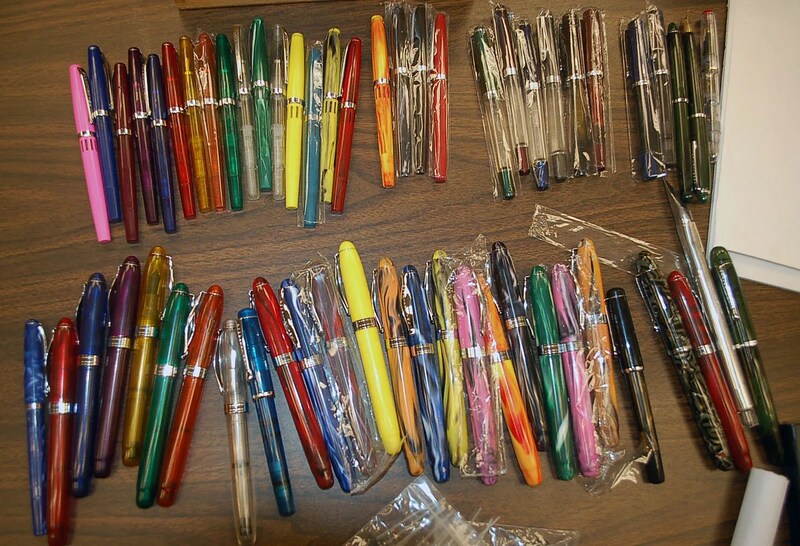 Not only all of the colors of the regular Noodlers lines, but several prototypes, pens with 14K nibs, unique nibs, and a few unique filling systems. 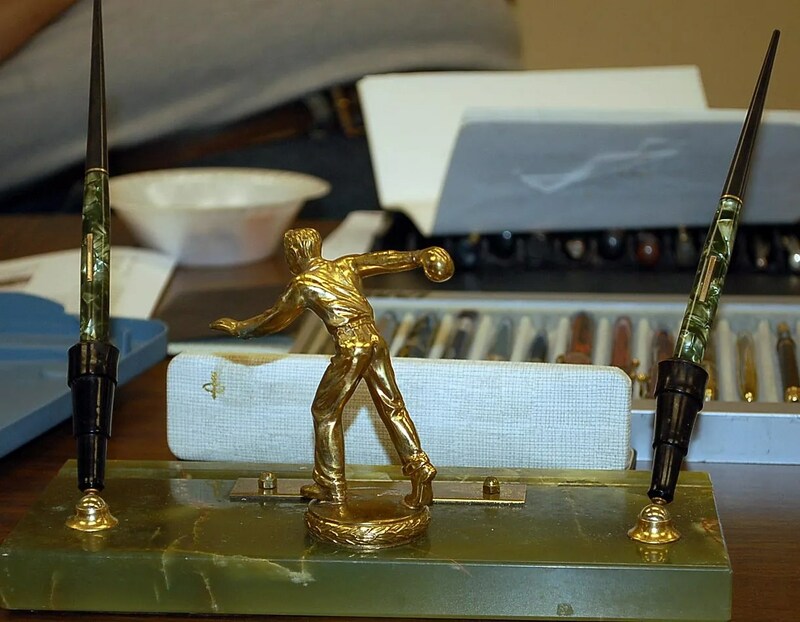 Here is a photo of his prize pen group. And, here is the winning print. As you can see, Joel is an extremely talented artist! Thank you to Frank for the Chicago Report and his newsletter, Joel for the Noodlers Report, and Barry for the interesting theme this month. Don’t forget that next month’s meeting will be on Friday June 15th.